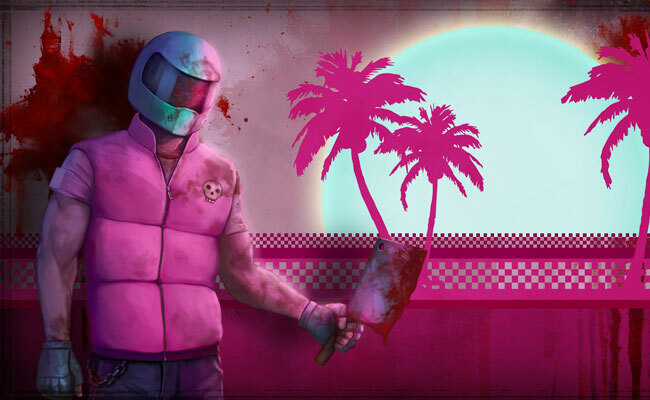 In Hotline Miami, Biker must battle Jacket, who like him has been receiving mysterious phone calls commanding him to perform brutal assassinations. 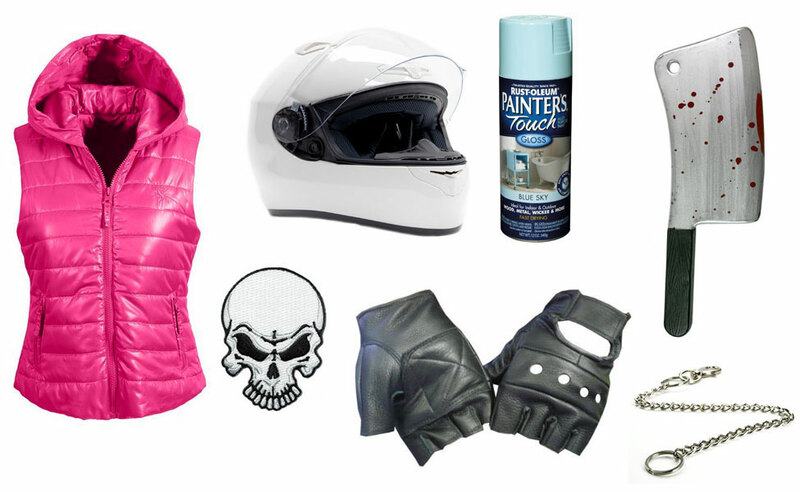 Biker's weapons of choice for these tasks are a meat cleaver and throwing stars. 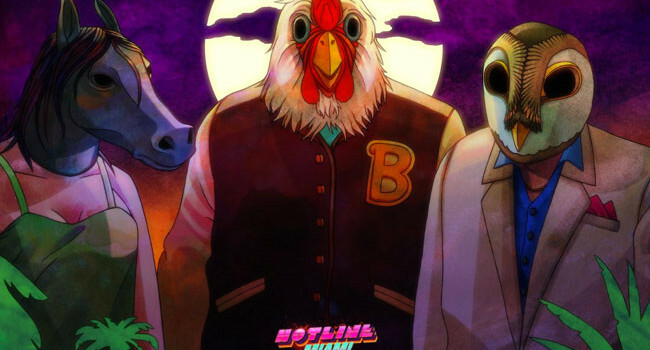 In the retro 2D video game Hotline Miami, the unnamed protagonist (nicknamed Jacket) receives cryptic instructions to kill foes in an ultraviolent manner. He wears a variety of animal masks when completing these tasks, each of which gives him special abilities. To finish the costume, apply fake blood liberally. Isn’t he wearing a white t-shirt as well? Yup, a plain white t-shirt with rolled sleeves and blue jeans work. Also added a wallet chain to the post. Ohhh nevermind on the vest. That’s the same item in a different color. Failed to notice that. BTW he has a pack of cigarettes rolled up in his sleeve that would explain the square bulge in his shirt.